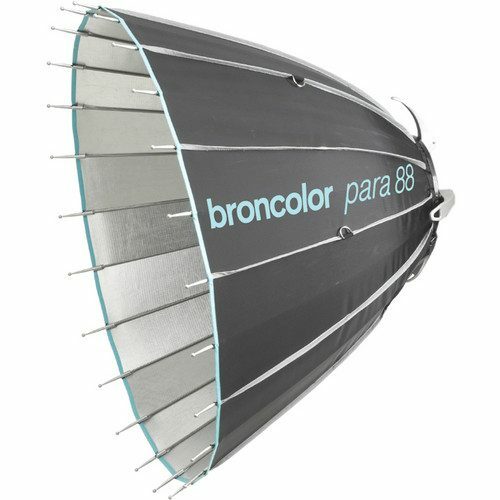 The Broncolor Para 133 Reflector is comprised of 24 small segments that act like hard lights. 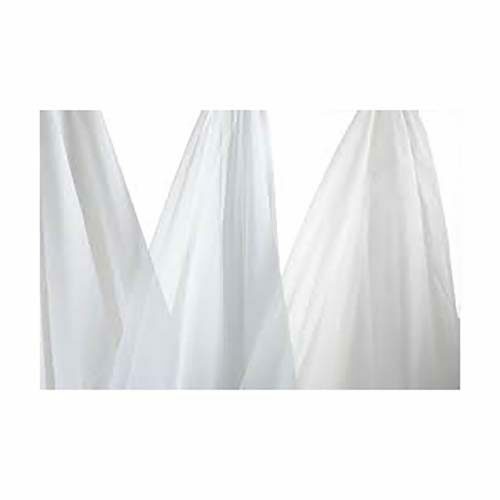 Arranged in a soft, deep pattern, together they produce a smooth quality of light that emphasizes surface texture such as makeup and skin. The Para 133 weighs only 5.7 pounds, and has an opening of 52″ diameter by 30″ deep. 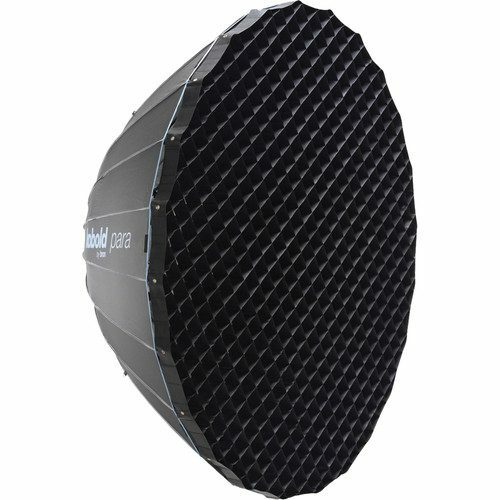 It can be used with strobe lighting up to 3200 W/s, or continuous lighting up to 1000W. At 6.5 ft distance, the f-stop reaches 90, while at a 33 ft distance, it reaches 22. 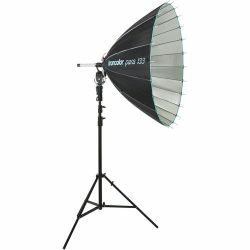 Your choice of Broncolor P, Profoto, or Kobold adapter.